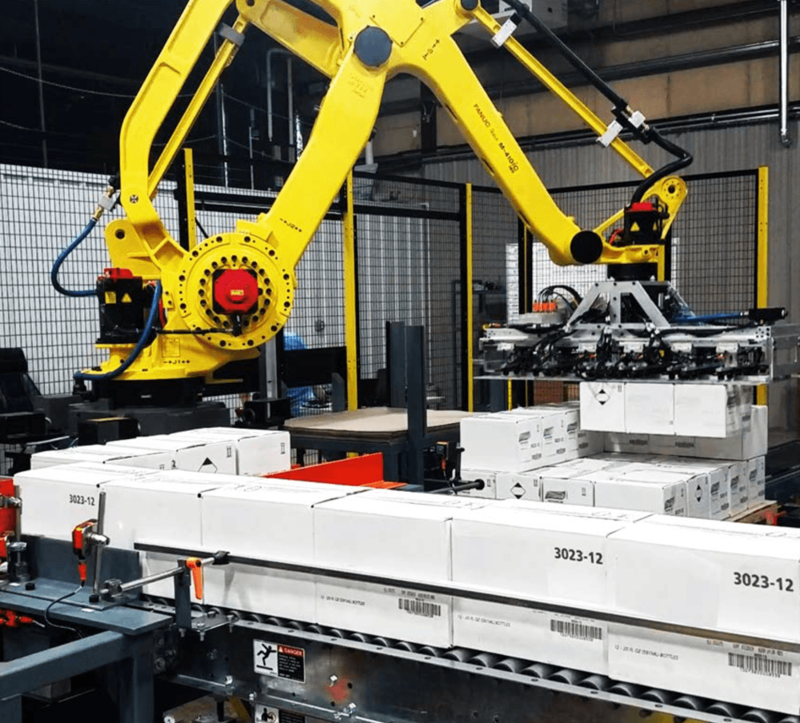 The ErgoPakPal is a complete robotic system flexible enough to work with a variety of product types, weights, and sizes. 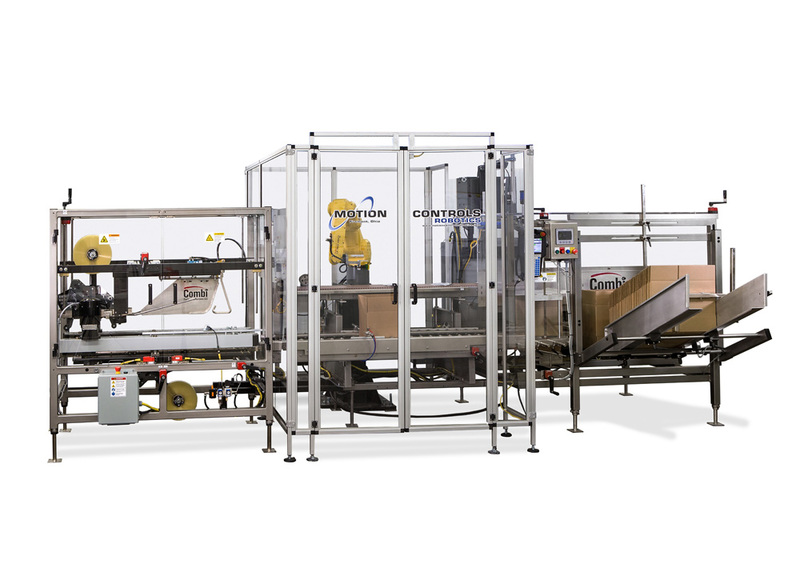 The system includes complete design/detail, fabrication, assembly, robot, software, and electrical. 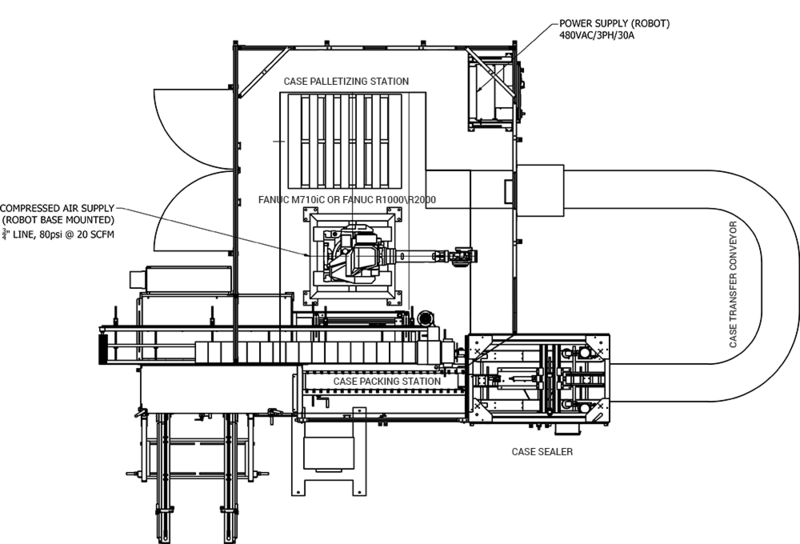 We setup the system at our site for runoff approval and then bring to your site for testing and startup. 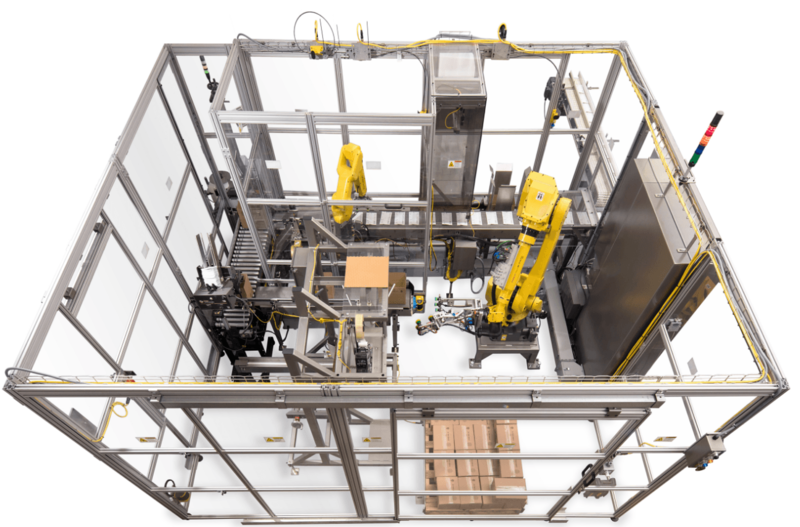 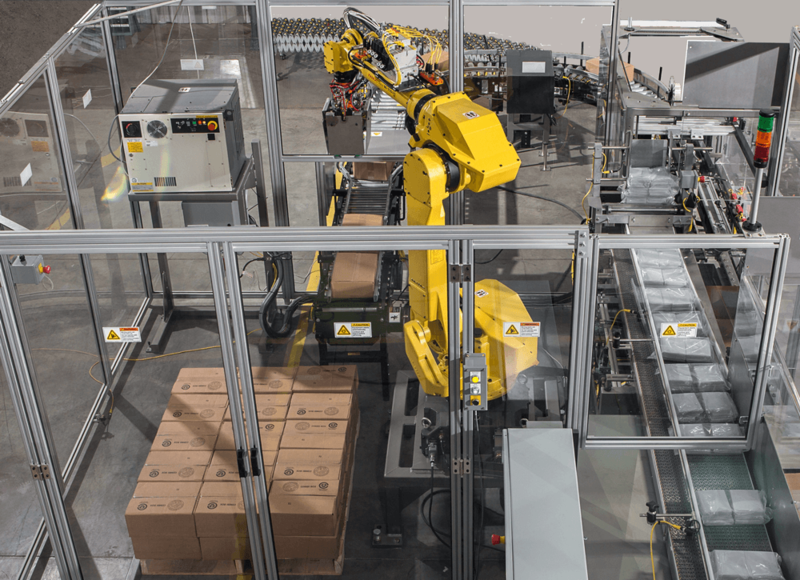 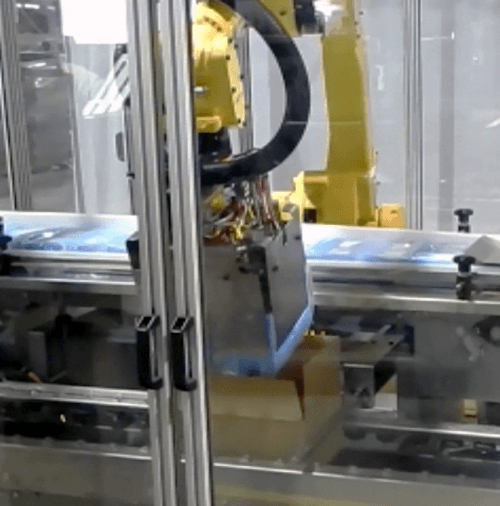 The robotic ErgoPakPal is a collaboration between Motion Controls Robotics and Combi Packaging Systems. 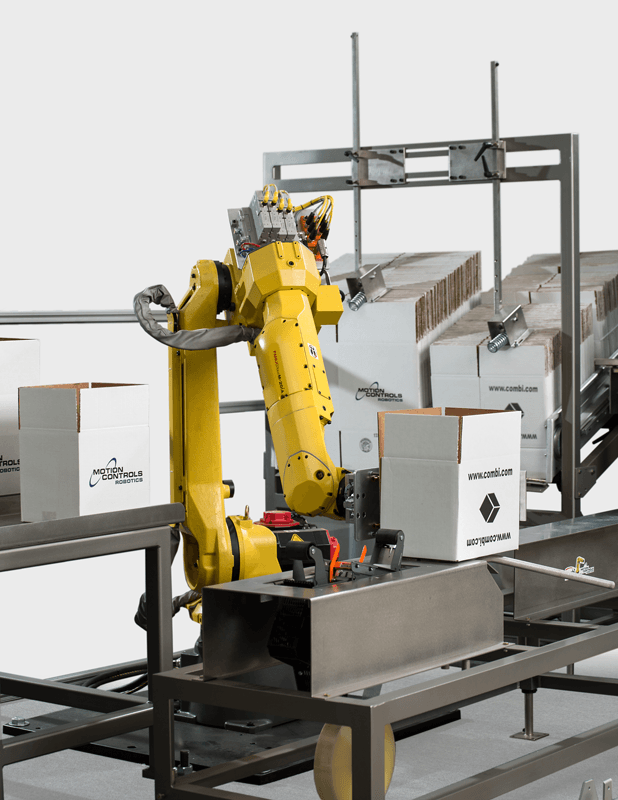 The system combines the end of line solutions Combi Packaging Systems is known for and the design and development of robot cells Motion Controls Robotics has been building since 1995.The ErgoPakPal is a complete robotic system flexible enough to work with a variety of product types, weights, and sizes. 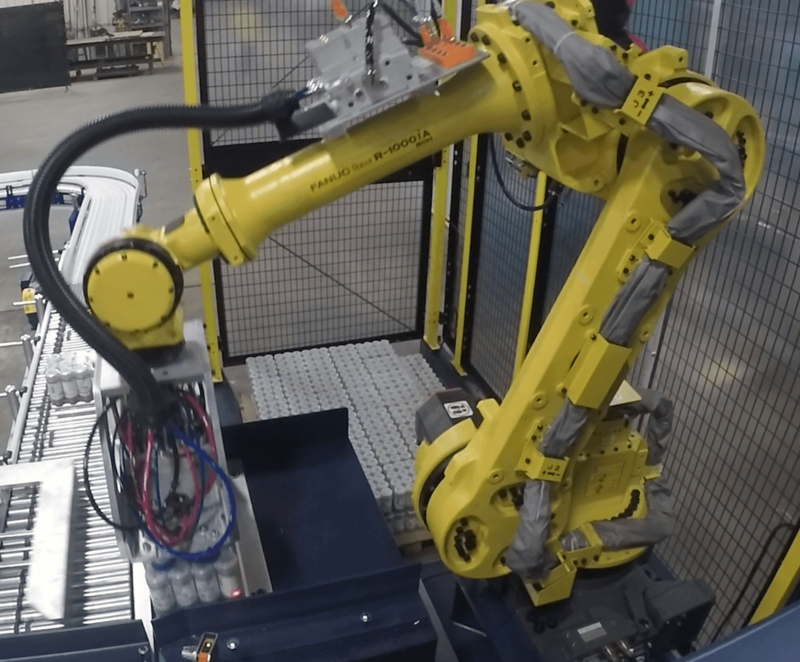 The high speed and compact FANUC R1000 or larger R2000 robot can also be used in jobs where higher weight and/or longer reach are required. 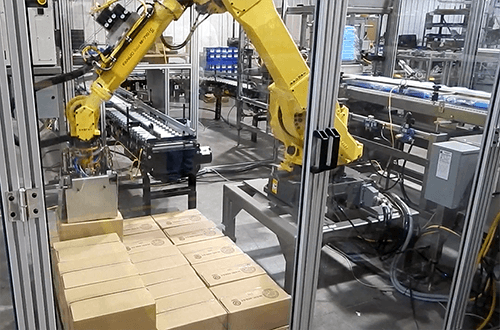 Motion Controls Robotics would like to design a quality robotic solution for you.